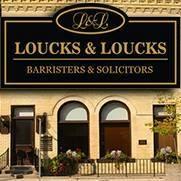 Loucks & Loucks is a general practice Grey Bruce law firm, proud to have been serving the local community and Southwestern Ontario for the past 65 years. Although we operate a general practice, much of our work relates to agricultural business, corporate and commercial work, civil litigation, wills, and estate administration, and family law. We also have growing human rights and criminal practice.